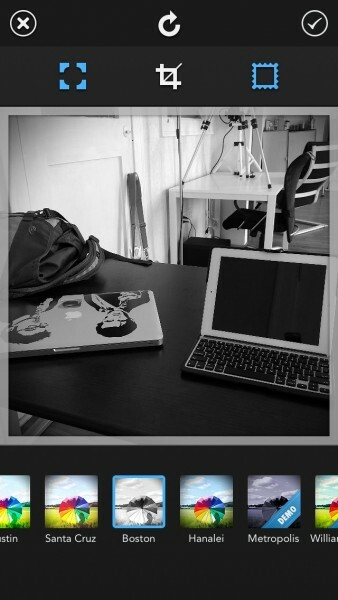 Favd - Share Your Photos (Free) by YourHead Software is the best way to view images on App.net. 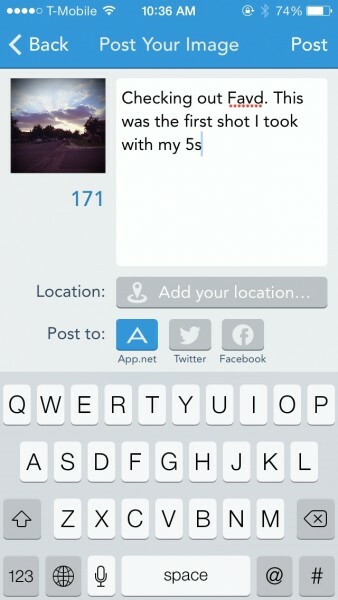 It is almost like a version of Instagram made specifically for ADN. I’ve been on ADN for over a year now, and I rather love it. While most probably still think of it as just a copy of Twitter, it can actually be much more than that. And with the community of creative developers out there, this has proven to be true. Favd – Share Your Photos is not just another ADN app for your timeline, but rather places the focus on photo sharing on the premium social network. I was eager to check out the app since I heard about it last night, and I’m not disappointed. 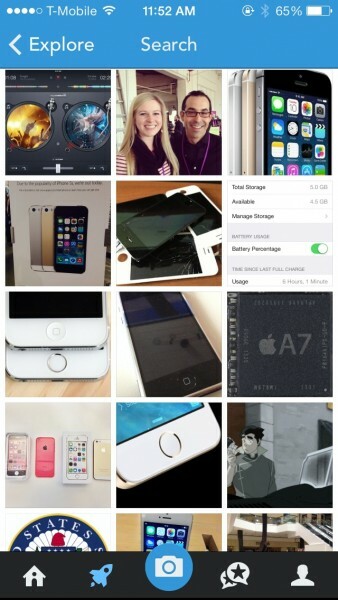 The interface is clean and simple with a flat design that fits in with iOS 7. 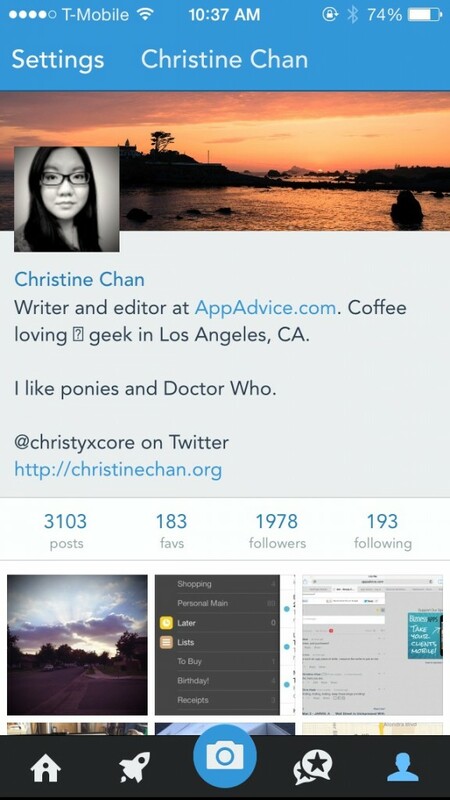 The blue header bar melds together with the iOS status bar, reminding me a tad bit of Foursquare. The icons on the buttons are minimal, yet elegant, and a pleasure to look at on my iPhone 5s. And as a whole, the app is incredibly responsive, especially when refreshing via the pull-to-refresh gesture (Instagram has, amazingly, yet to implement this). In order to use Favd, you will, of course, need an App.net account. If you don’t have one already, sign up for a free account! Otherwise, just log in manually or with App.net Passport. Once you’re in, you’ll find yourself on the main feed, which displays all photos that you and your ADN friends have posted with Favd, or older images that were uploaded on the ADN servers. 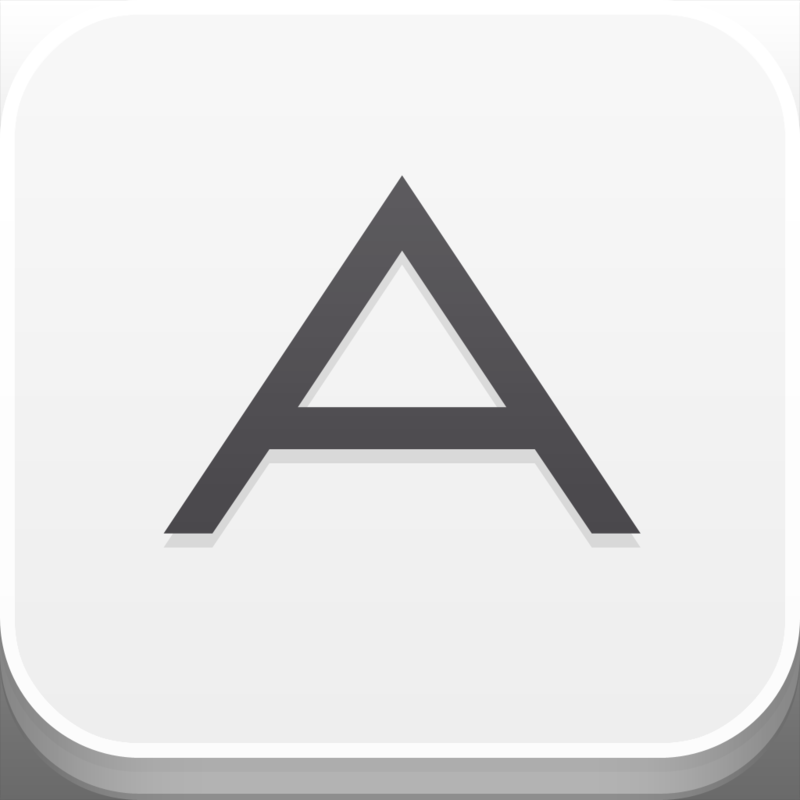 At the bottom, you’ll find the navigational menubar: Home, Explore, New Image, Activity, and Profile. 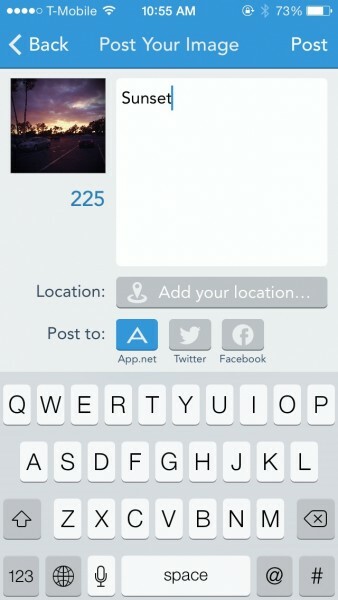 To add a new image, just tap on the camera button. This brings up the camera, where you can snap a new photo with either the front or rear facing camera, toggle flash settings, even show or hide the grid for a perfectly composed shot. You can even select one of the filters to apply it to the shot in real-time, which is nice. 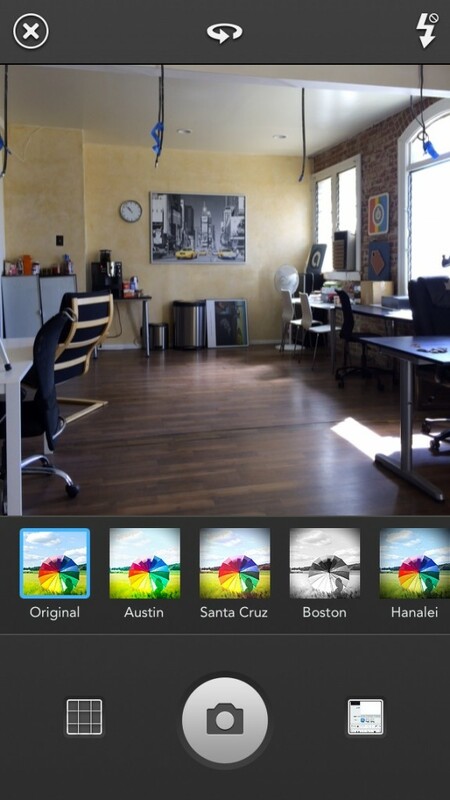 There is also the option to just import a photo directly from your Photo Library. 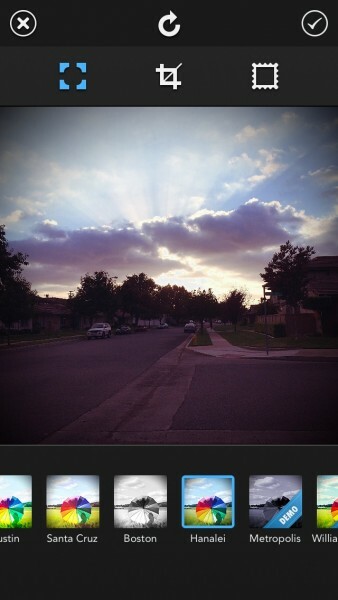 Once you have the photo, you can change the filter or toggle three options: Vignette, Crop, and Border. 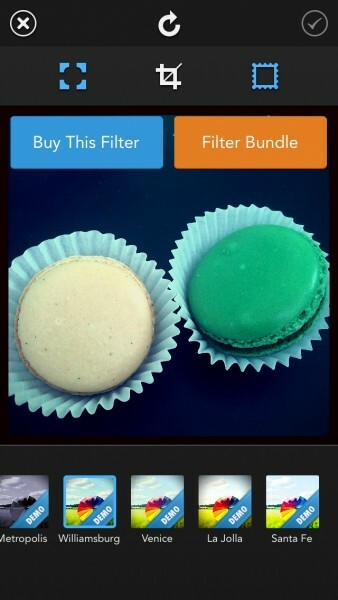 While the initial download of Favd is free, it only comes with four filters. There are five more available, but they need to be unlocked with an in-app purchase of either $0.99 each, or $3.99 for the entire bundle. When you move on to the next step, you can enter a caption for your image (up to 231 characters instead of 256 due to the link), attach an optional location, and choose where to post to (App.net is selected by default, but you can also share on Twitter and Facebook). If you don’t want to share the image publicly, but want to use one of the filters from the app, you can actually disable sharing by deselecting any of the networks, and the picture gets saved to your Camera Roll instead of being posted. I really love the fact that Favd makes sharing completely optional, because I can’t tell you how many times I’ve wanted to just use a filter on Instagram without having to post my image, and I know I’m not alone. The Explore tab seems to showcase recent uploads from the community, but you can also search for photos here as well. 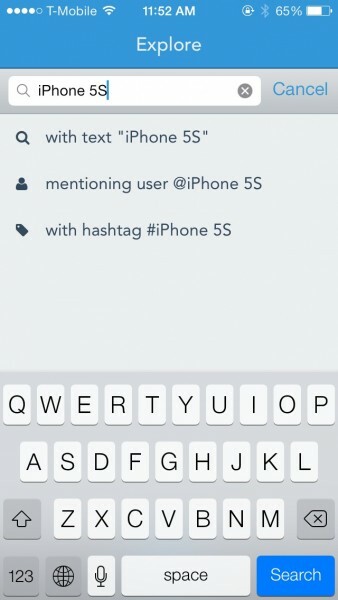 If searching, you just type in the keywords you’re looking for, and Favd brings up three options: text, mentions of user, and hashtags. 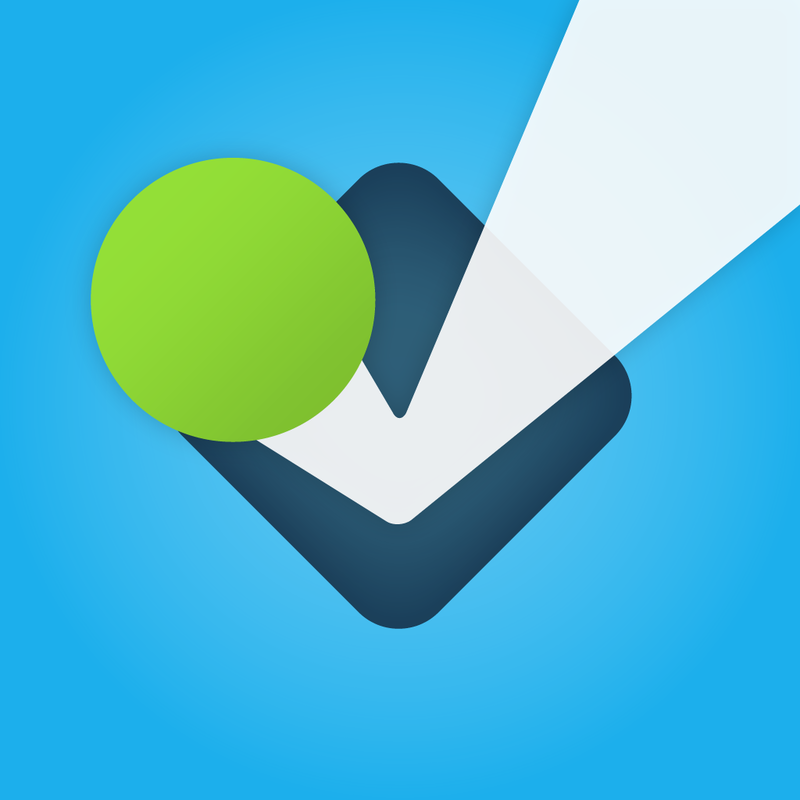 This simplifies things, making searching a lot faster. When you view images, whether it’s on your home feed or Explore, you can repost images, share, or comment on them, which sends it as a reply on App.net as well (it creates a thread from the original post). 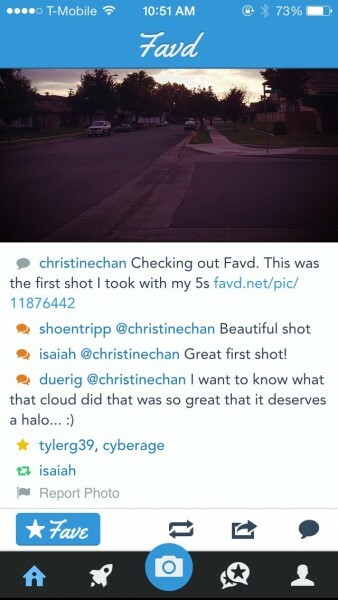 If you like an image a lot, make sure to tap on the “★Fave” button to add it to your starred posts on App.net. 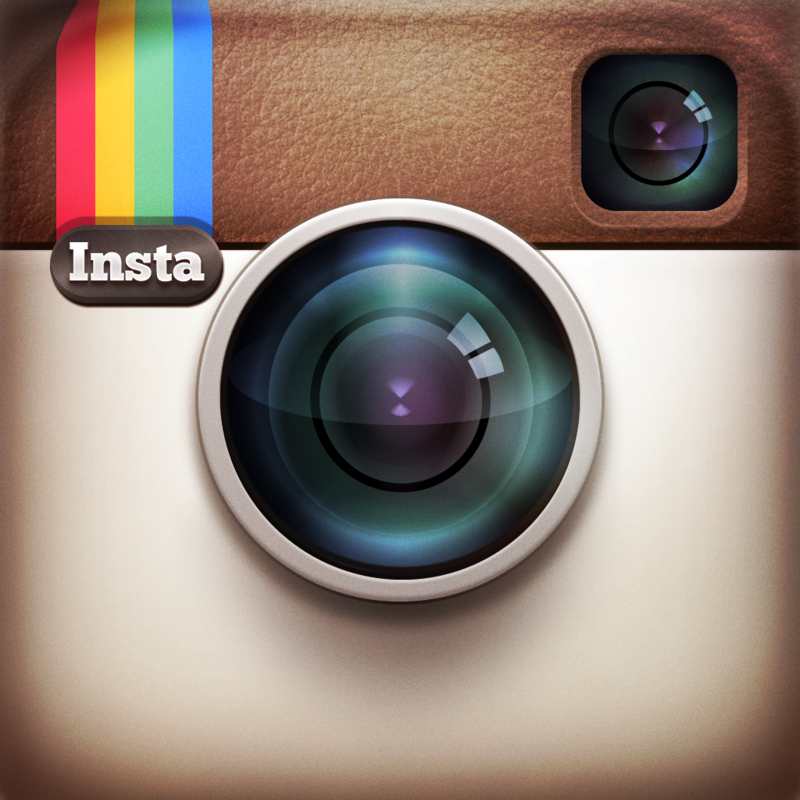 When you receive likes or comments on your images, you’ll be notified with the Activity tab. Viewing your profile, or anyone else on ADN, you can see their cover image, avatar, bio, total posts, favorites, follower/following counts, and a grid of their photo uploads on ADN. You can also access Settings from your profile view as well, but there is really just the main option of restoring purchases. 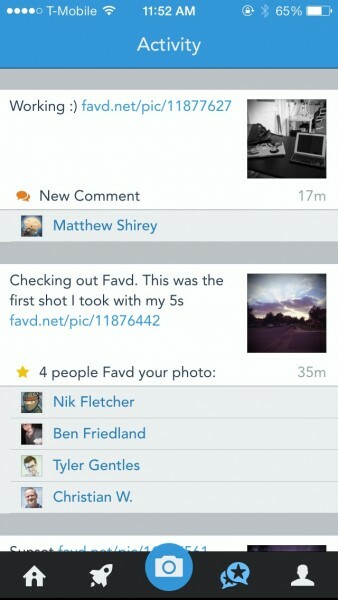 I’m quite enjoying Favd – Share Your Photos, because it has a gorgeous design, and is incredibly responsive and intuitive. 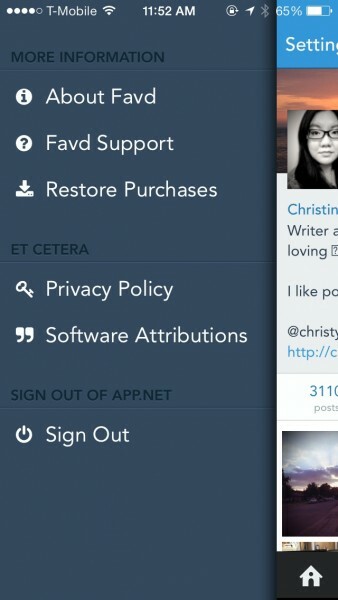 It also has an insanely easy setup, as it can just get your information from App.net Passport, and is an app that showcases what App.net can do, rather than just be another Twitter-clone. My only little issue with the app is the fact that it does not remember when you toggle borders off. I prefer to not have borders on my images, and with Instagram, my “borders off” option sticks with the app, so it doesn’t enable the border on my next image. I hope that Favd implements this in an update, because it gets a bit annoying to have to keep toggling the “Border Off” option for each image I want to upload. This is my only gripe with the app so far. 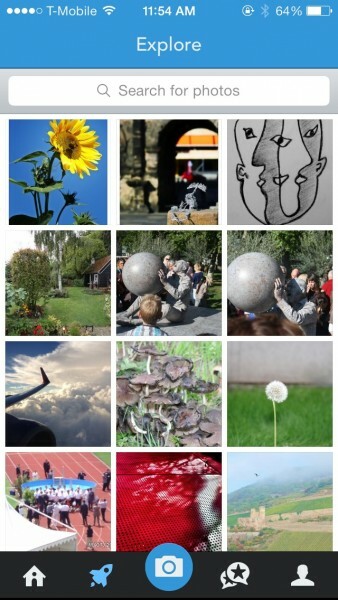 If you are on App.net and have been looking for a great app to easily share photos with, then look no further than Favd. 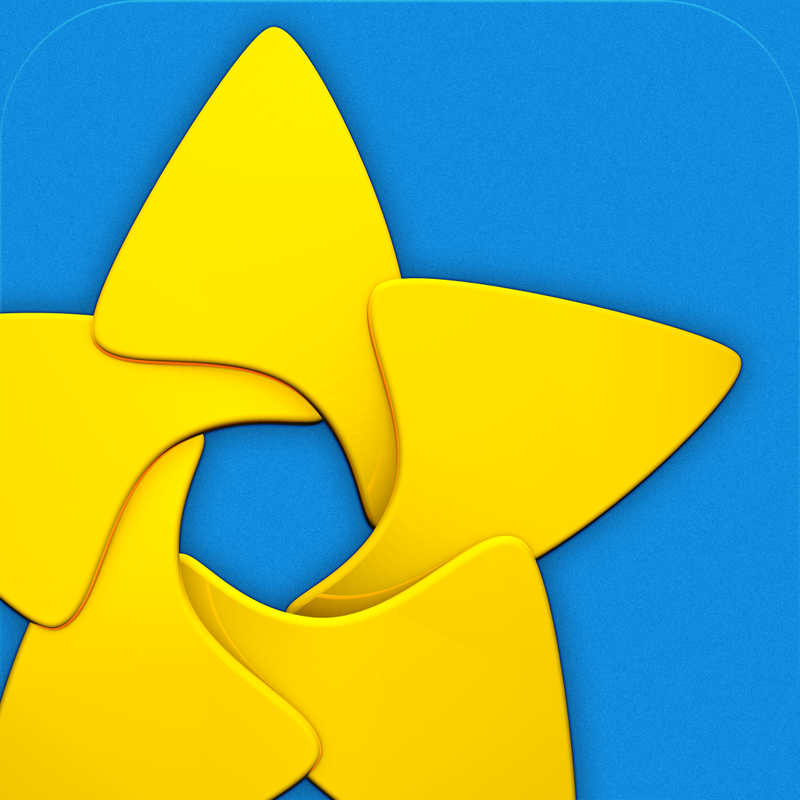 You can get it in the App Store for your iPhone for free.